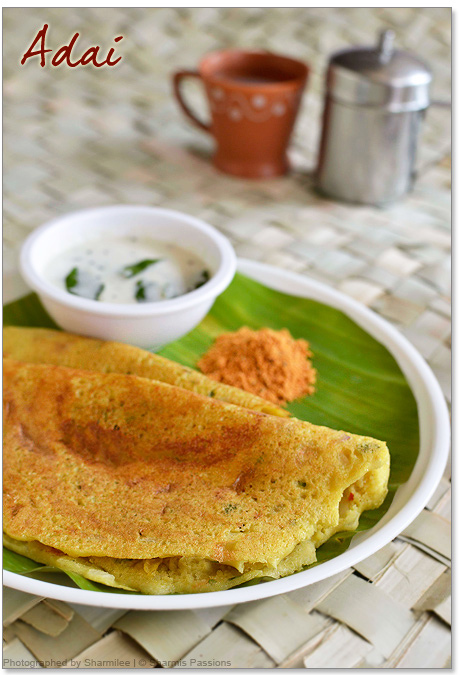 I can have adai(adai dosa) even daily….I love it so much. 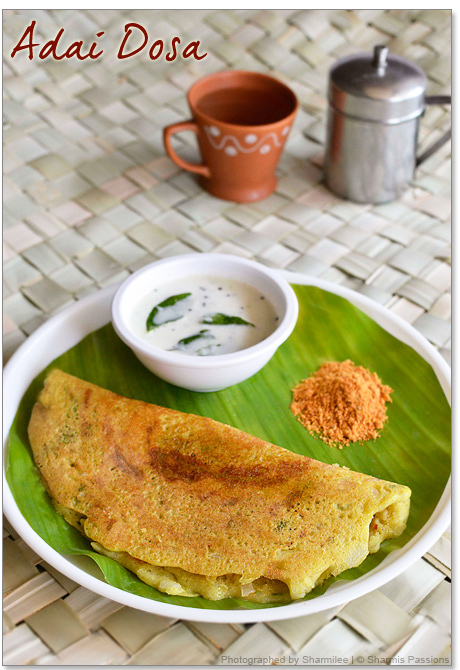 This version amma makes – the dosa style is my fav not to thick not too thin. Most restaurants serve adai with aviyal but I havent tasted that combination. 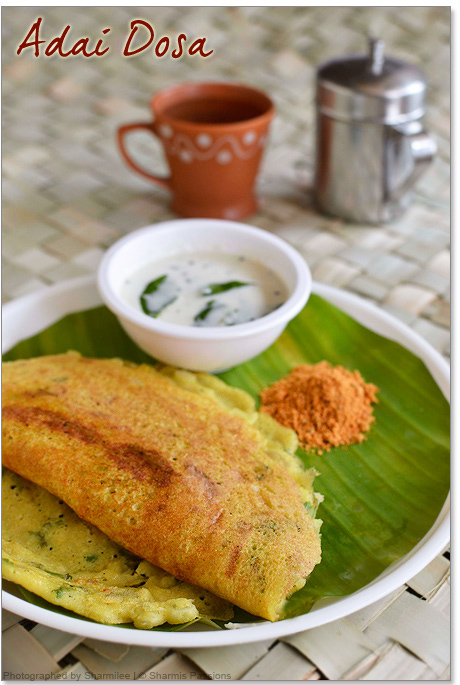 To me adai with coconut chutney is the best combo and with little sugar….hmmm heavenly! It is protein packed wholesome for breakfast/dinner. 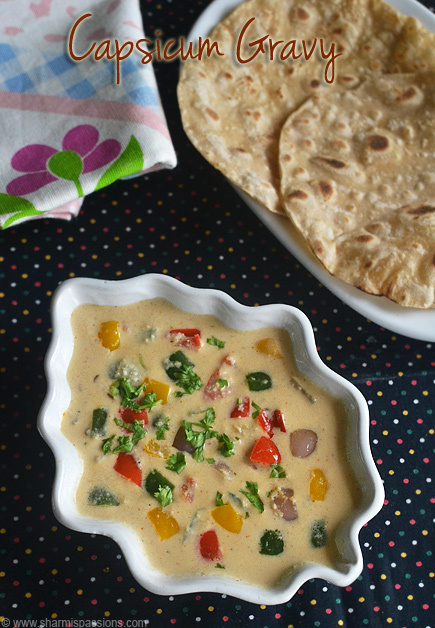 Want a more healthy version of adai?! 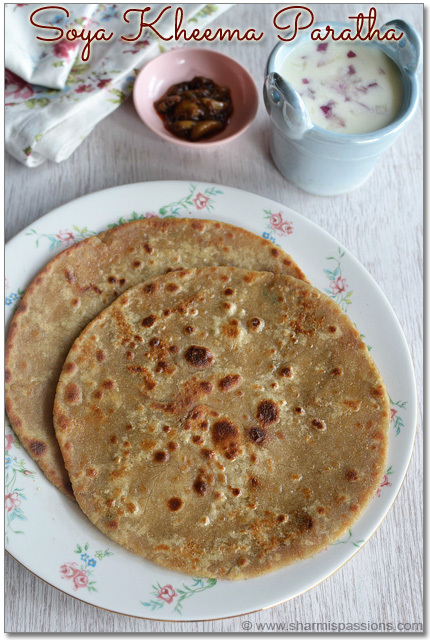 then check out the oats adai. Soak the rice and dhals for atleast 2-3 hours, Keep aside. Grind it together with red chillies and fennel seeds to a coarse paste. Add salt, turmeric powder, hing mix well and set aside. Add onion, garlic and coriander leaves and mix well. Add little water to make it to slightly running consistency slightly thicker than the dosa batter. Heat the dosa tawa , take one laddle full and spread the batter as we do for dosa. Drizzle little oil and once it is cooked turn to other side and cook till golden brown. 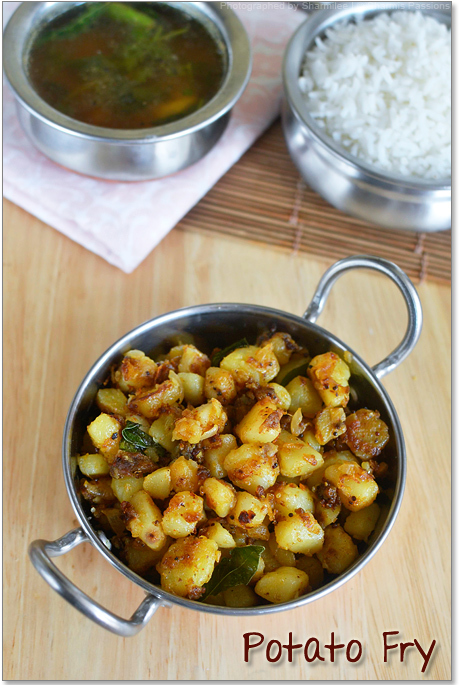 Serve hot with coconut chutney or avial. If you want a more spicy version add 2 more red chillies while grinding. You can also spread the batter even more thicker. We prefer this way to get crispy dosa style adais. You can also include a small piece of ginger while grinding. Been here Many many times, but first time commenting. 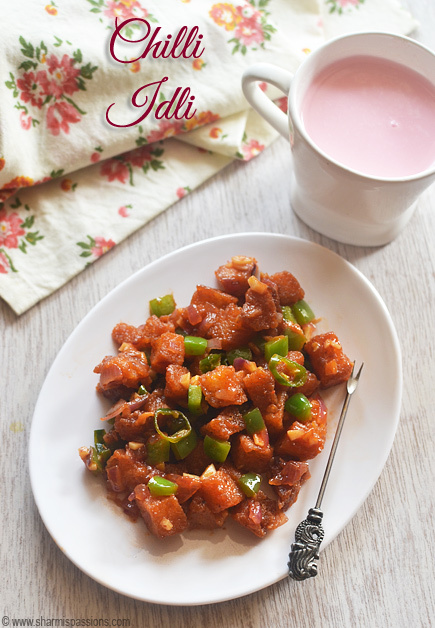 Been reading your content since your early days of blogging, always loved the pics and recipes too. Do visit my space when you find time. loved it.. but actual combination for adai is jaggery and butter 🙂 the best ….. 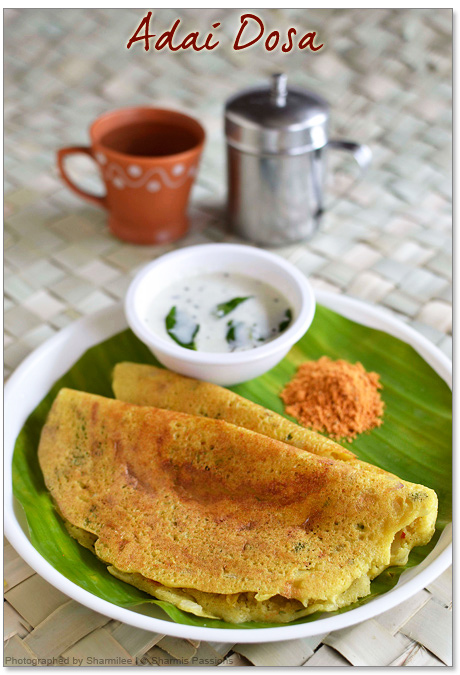 I love adai with coconut chutney too,looks lovely with the braided mat as background! Wow..that's healthy tasty and flavorful..The color itself calls you there..Yummy. I have it with crushed jaggery and chutney. I love adai. Beautifully presented. 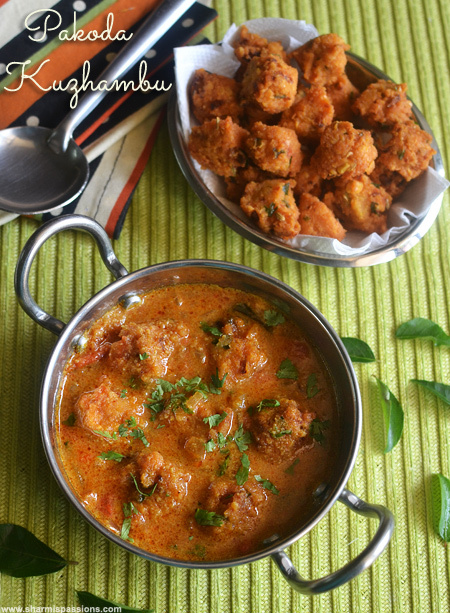 One of my fav,love simply with spicy coconut chutney. I love Adai and I prepare it the same way. Nicely done !! hii lovely dosa.luv it.what can i use instead of raw rice? is thr any othr name.im now in canada,can i use any othr rice varity? @Saranya : Raw rice is pacharisi in tamil. If you dont get it just go ahead with idli rice. I have readymade dosa batter, can i just soak the dhals, grind and add it to the batter ..? hi sharmi..ur reciepes are excellent and very simple to make.good photography too. i tried this adai and it came out very well. thanks a lot. i suggested this reciepes to many of them. hi sharmi.. i tried this adai and it came out well.thanks.. ur reciepes are excellent, very simple and easy to make.good photography too. Hiiiii sharmi..recently i saw ur website through facebook and ur recipes are too good and i tried adai and tiffin sambar it came out very well…keep posting…. Good presentation Sharmi, Can i grind it in mixie or should do in grinder only? Grinder is best, but mixie will yield good adais too…. No need but if soaked it will be more easy to grind …. Hey… Should we use yellow moong dal or green moong dal? This looks great. Whats raw rice? I have idli rice and basmati rice. Can i mix those two? Hi sharmi how r u?/ im fine. 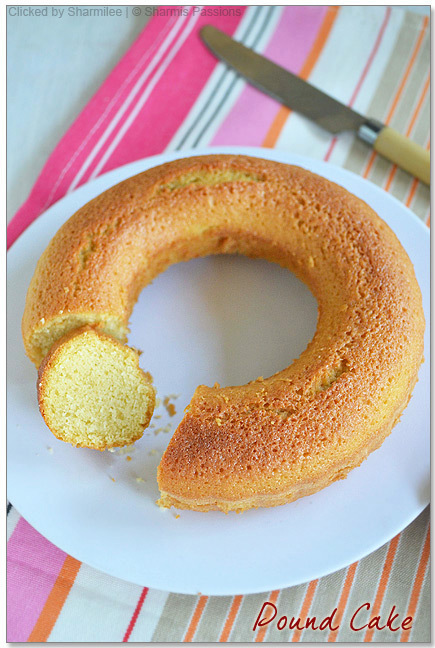 Im very new to kitchen so im learning recopies from ur blog..So i like ur blog very much.. Thank you so much. Im glad to inform u that my name is sharmila..